Witches, witchcraft, and demonology have served as the basis for horror tales since the dawn of ancient civilization. Just as we have our folk stories of broom-riding witches, the ancient Egyptians and Babylonians spoke of magic-wielding deviants who cast evil spells on innocent people. It comes as no surprise, then, that one of the genre’s earliest feature film efforts would focus on the phenomenon. 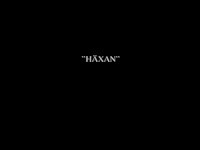 Conceived by Danish film-maker Benjamin Christensen in 1919, Häxan was a meticulously crafted effort that took three years to fully realize. Combining elements of documentary and fiction, the film is an examination of the various evils that have plagued mankind as a result of witchcraft throughout the ages. The film is divided up into several chapters, and it opens with a scholarly, documentary-style discussion that explains the ancient and medieval conception of witchcraft and the structure of the universe at large. The next chapters present a series of vignettes detailing the exploits of medieval witches and even the devil himself before segueing into a long narrative that exhibits the process of medieval witchcraft inquisitions. The final segment transitions to modern times and reveals the parallels between the behavior of medieval witches and modern day hysteria, suggesting that the modern world really isn’t that far removed from its more primitive roots. Häxan is without a doubt one of the most unique experiences in all of horror; structurally, it feels like a very early precursor to the types of films Charles Pierce would make decades later--the sort of pseudo-documentaries with re-enactments of fantastic events, such as The Legend of Boggy Creek. The mix of documentary-style narration with live action visuals here provides a very informative framework that draws you into the subject matter. In fact, it draws you in so well that, by the time the film moves on to telling its over-arching story, you forget you’re watching something that’s supposed to be informative. Instead, Häxan actually becomes an emotionally charged and thought-provoking film that details the evils of both witchcraft and those who persecute it. In this respect, it’s easy to nail down Häxan’s significance. The middle sections of the film that reveal the evil of the Inquisition process are a biting, cynical indictment of hypocrisy and piety. The process is revealed to be ludicrously complicated, serving only to rid people of the undesirables in their community. It’s a theme that’s been repeated throughout literature, particularly in Arthur Miller’s The Crucible, which offers up similar warnings towards blind faith and persecution. It’s tricky how Christensen buries this within the film because it’s surrounded by the more fantastic and supernatural sequences concerned with all the witchcraft. There’s a stark contrast between the two modes, as Christensen almost invites you to indulge in the fantasy of the witches’ exploits before bludgeoning you with acts of very real and horrifying violence. It’s in this manner that Häxan qualifies as a horror film, as it seems to be out to horrify as much as educate. 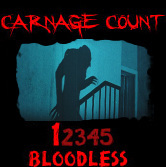 It does so with a wide range of absolutely stunning and arresting visuals that offer up a wide range of visual scares. The supernatural elements are appropriately treated with surreal, nightmarish images that are bathed in shadows. Christensen takes cliché, dime-store images and transforms them into something transcendent and ethereal: there’s broom-riding witches taking flight over different landscapes, a coven of witches, complete with a giant cauldron, and even sequences featuring the devil himself committing various nefarious deeds. This is all contrasted with the more grounded and grim images of the inquisitors, as the film here focuses on the methods of torture and the devices used. It’s obviously not graphic, but the film gives you a very good working idea of how these devices were used to force confessions from the accused. I still find it amazing how silent films of this era are able to convey a sense of eerie, unsettling terror despite their obvious technical limitations. Häxan is no different, as there is something primal and unnerving about its treatment of an already spooky subject matter. Seeing the devil himself (actually portrayed by Christensen in the film) silently skulk around stalking victims is a literal interpretation of seeing evil roam around uninhibited. In many ways, that’s the crux of Häxan, as there’s an awful sense of dread hanging at every turn, as if mankind will never be able to escape an evil that has beset them for ages. It should be noted that Christensen especially seems to be cognizant of how evil and the abuse of power has especially victimized women. This is especially true when a woman is blamed for being a witch for simply being young, beautiful, and tempting to a pious monk, who is unable to control himself. While there’s a self-imposed ascetic punishment for him, it pales in comparison to being burned at the stake. It’s been 90 years since Christensen first began to work on Häxan, but it’s no less relevant today. Though it wasn’t meant to be an allegory, it serves as a nightmarish reminder that evil often comes from within, not from without. Mankind will always find a way to segregate itself and find scapegoats; if not witchcraft, then Communism, Judaism, or even alternative sexuality. The folks at Criterion have made it easy (if not expensive) to see this somewhat unsung piece of horror. Their transfer is immaculate considering the age of the film, and there’s both surround and stereo incarnations of a newly-recorded soundtrack that was based off of notes from the original theatrical presentation. This release also includes the 77 minute American re-cut of the film from 1968 entitled Witchcraft Through the Ages, which includes narration from William S. Burroughs. Extras include a commentary track with film scholar Casper Tybjerg, and a sort of digital textbook that examines the real texts that informed and inspired Christensen. There’s also some outtakes and some still photographs that give a glimpse of things behind the scenes. It’s an excellent package for an excellent film, as Häxan stands as one of the best films about not only witchcraft, but also the ignorance and cruelty of mankind itself. Essential!